If someone asked you to define classical, Christian education, what would you say? I think most of us could provide a fairly decent definition of Christian education; well, at least I would hope so. But I fear that many of us would struggle to define classical education. Subsequently, our own children, the ones receiving this classical, Christian education, do not know how to define it. If we do not understand the distinctives of classical, Christian education, we will end up failing to provide it to our students and instead deliver to them the same humanistic, vocationally-focused education that most of us received. So let’s first define Christian education. God requires Christian parents to provide their children with a distinctly Christian education in which all knowledge is taught as God’s knowledge and in which each discipline is viewed through the lens of Scripture. God commands believing parents to teach their children the Holy Scriptures and to raise their children in the nurture and admonition of the Lord. As St. Augustine said, Christians should educate their children in such a manner as to cultivate individuals who are both heavenly-minded and capable of doing great earthly good, knowing both the Scriptures and possessing a moderately thorough knowledge of everything else. Christian education serves to develop a child spiritually, intellectually, and socially so that the child may then foster that same growth in the world around them. Notice that in receiving a Christian education a student does not just learn the Scriptures, but also learns about all aspects of the world from a biblical worldview. What is classical education? A classical education teaches students wisdom and virtue by means of the liberal arts and sciences. Many categorize the liberal arts and sciences into the “trivium” (grammar, logic, and rhetoric), the “quadrivium” (arithmetic, geometry, music, and astronomy), and the “four sciences” (natural, human, philosophical, and theological). Before I go on, let me define for you the difference between an art and a science. An art is an ability to create or to produce something. In the case of the trivium, which consists of grammar, logic, and rhetoric, students learn the arts of thinking. Students gain the ability to read and write well, to reason, to discuss, and to persuade winsomely. Science, derived from the Latin word “scientia”, meaning “knowledge,” consists of discovering or learning the truths about some aspect of the world through inquiry. Classical education is not vocationally focused, but instead teaches students the intellectual skills transferable to the learning of any subject or craft. Unlike most people today, the ancients recognized that education was not a religiously-neutral activity, and they understood that education encompassed cultivating both the mind and the soul of a human being. The goal of a classical, liberal arts education was to teach students to discern, to think, and to behave wisely. Classical, Christian education develops wise and eloquent young men and women. By providing students with a liberal arts and sciences curriculum infused with the truth of Scripture, classical, Christian education cultivates minds and souls, enabling young men and women to go forth into the world and redeem each part of it for the kingdom of God. So the next time someone asks you, “what is classical, Christian education?” tell them that classical, Christian education utilizes the liberal arts and sciences to cultivate wise and eloquent men and women. Classical, Christian education teaches students to think well, to speak well, to write well, and to discern what is true, good, and beautiful, all while cultivating their knowledge and devotion to God through Christ. You will blow them away! Mrs. Darla McDonald serves as Lead Teacher in the Rhetoric School and also as an instructor in the CCS Rhetoric School science department. She currently teaches AP Physics I and Honors Physics. Mrs. McDonald holds a B.S. in Biology (Pre-Med concentration) from the University of Maryland, College Park, an M.Ed. in Science Education from North Carolina State University, and a Master’s Certification from ACCS. 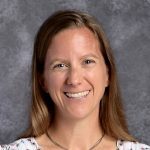 She has served on the faculty of Cary Christian for the past ten years and has a total of thirteen years of experience teaching in classical Christian schools. In addition to her teaching role at CCS, Mrs. McDonald also coaches the varsity field hockey team. She and her husband, Tim, have four children, all of whom are students at CCS.